These bracers go above and beyond what typical leather bracers provide. 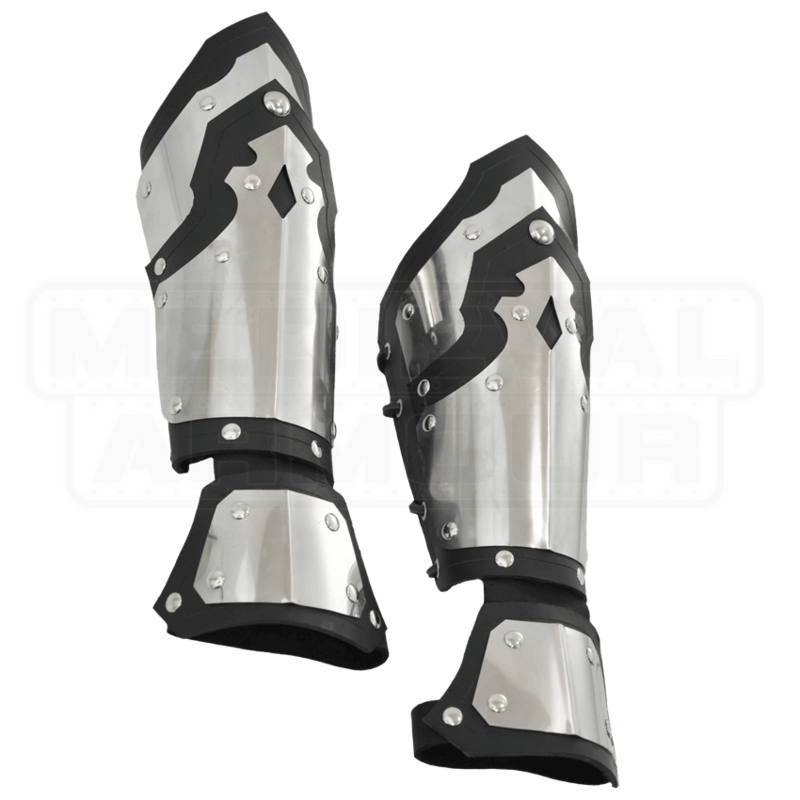 Not only are the Conquerors Bracers a great looking piece of armor to wear, but they are also extremely sturdy, thanks to their construction from both leather and metal. These bracers combine 9-10 oz. leather and 20 gauge stainless steel into one impressive piece of armor that is quite the sight to behold. The bracers are simple in design, featuring layers of leather that are secured together via rivets, which are then further enhanced with stainless steel plating. An added bonus of these bracers is that they feature short extensions at the wrist, which provides a small protector that can be secured to the hand thanks to an elastic strap, which means that these bracers keep both your wrist and your hand safe and secure! The bracers are available in one size, although thanks to them being laced up with cord and laces, they are also quite adjustable and can be flexed to fit a variety of different sizes. They also only come in one color, with the leather being black and the plating polished. 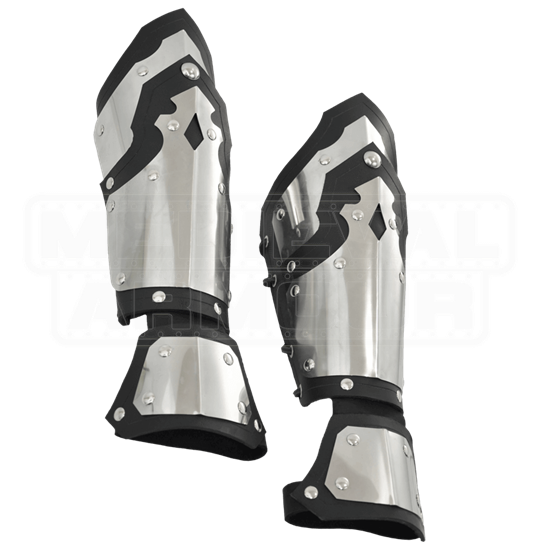 The Conquerors Bracers look quite like they could be capable of stopping a sword blow with just a casual lift of the hand, and, when you are in a LARP combat, it is entirely possible that they might!